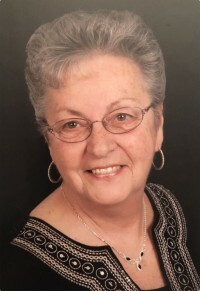 Gail Ann (Saar) Barr, 75, of Elderton, PA, passed away Monday, December 31, 2018, at UPMC Presbyterian Hospital. She was born January 6, 1943, in Pittsburgh, PA, the daughter of Albert J. and Jennie M. (DiLonardo) Saar. Gail was a long-time resident of Pittsburgh and later moved to Elderton in 2003. She was an active member of Elderton Presbyterian Church and served at the church in many capacities, including as a Deacon and with the church's Women's Association. Recently, she had been lovingly adopted as part of Dayton Glade Run Presbyterian Church. Bowling was one of her favorite hobbies in her younger years and she also enjoyed going out to eat. Gail never missed the birthdays of those she loved and always sent cards to family and friends. Baking was one of her many talents and she was known for her delicious chocolate-dipped chocolate chip cookies. Gail will be best remembered for her selflessness and compassion for others. Her memory will be cherished by her son, Jay Stegena and wife, Winnie, of Munhall; daughters, Vanessa Milleman and husband, Richard, of Elderton, and Jennifer Vinay and husband, Stephen, of West Homestead; step-son, David Barr and wife, Crystal, of Moon Twp. ; step-daughter, Kathryn Karoleski and husband, Chad, of Pittsburgh; grandchildren, Josh Stegena and wife, Kristina, Jake Stegena, Joley Stegena, Jaicey Stegena, Brina Milleman, Leah Vinay and Luke Vinay; step-grandchildren, Nathan Barr, Lillian Barr, Sophia Karoleski, and Zoey Karoleski; great-grandchildren, Chase Stegena, Willow Stegena and Maverick Wolf; and former spouse, Al Stegena, of Pittsburgh. She was preceded in death by her parents and loving husband, Charles I. "Charlie" Barr, III, whom she married September 19, 1987 and who died September 23, 2011. Friends will be received from 2-4 and 7-9 PM on Thursday, January 3, 2019, at Clark Chapel of the Bauer Funeral Home, 238 S. Main Street, Elderton. Additional visitation will be from 10 AM until the time of funeral services at 11 AM on Friday, January 4, 2019, at Dayton Glade Run Presbyterian Church, 2540 Dayton Smicksburg Rd., Dayton, PA, with the Rev. Sheila Wadding officiating. Interment will follow in Calvary Cemetery, Pittsburgh, PA. Contributions may be made in Gail's honor to St. Jude Children's Research Hospital, www.stjude.org/donate.